"My name is Prashanth. I am 14 years old and my birthday is April 3, 1999. I am studying in 8th grade. I love to play football and I want to be a doctor when I grow up. I am the second child in my family with one older brother and one younger sister. Both of my parents passed away at a young age and my grandmother took us in. She was unable to look after our needs at her old age and came to know about New Hope Children's Home. After hearing about the situation, Appa George accepted me into the children home. I am happy to have a place to call home and the security that the children’s home has provided me. I am in need of a sponsor." 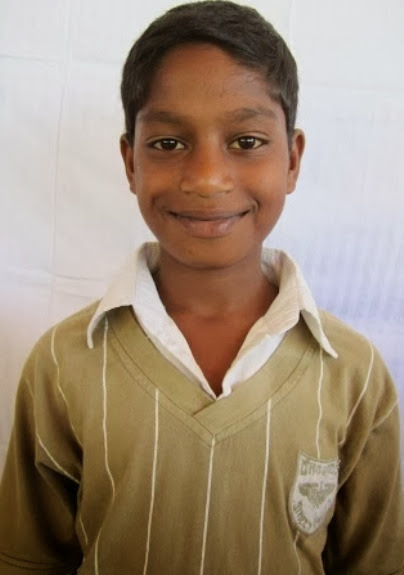 CLICK HERE TO SPONSOR PRASHANTH!